There is no bigger property/franchise in geekdom right now than the Marvel Cinematic Universe or perhaps ever! One could make the argument that the MCU is more popular now than Star Wars was at the end of 1970’s heading into the 1980’s. Beyond that the MCU has served to make being a geek mainstream; it is now cool to wear an Iron Man or Thor shirt were as before 2008 that would not have been the case. With the popularity of this franchise comes what some on the Internet would call a free pass from critics, and fan boys/girls alike. Often you see film’s like Ant-Man which was a good movie catapulted into great movie status, leaving one to question if this were not a MCU film would anyone care? Over the past few months, and even since the characters debut in 2016’s Civil War the hype for Black Panther has grown to unprecedented levels with the film currently setting at a 97% on rotten tomatoes, making it the most critically well received superhero film of all time with the film slated for a $210 million dollar opening weekend which would break February box-office records by leaps and bounds. *Mild Spoilers for Black Panther follow! 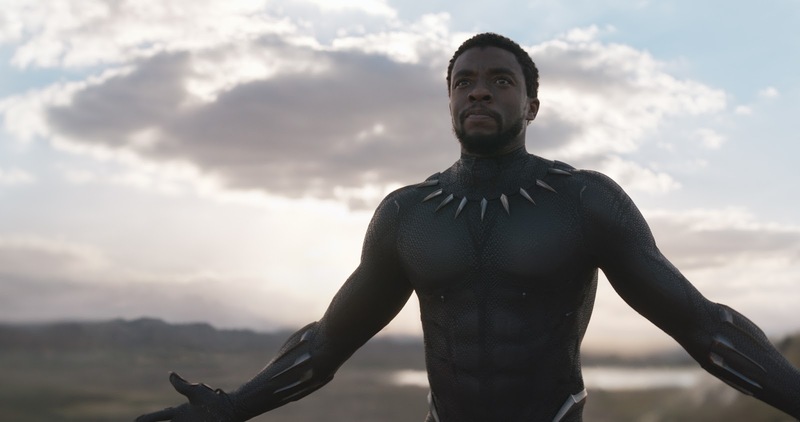 When it comes to MCU films or superhero films in general Black Panther is in a pantheon of its own. The film has an extortionate amount to say about culture and politics; and does this all in a genre mash up like we have never seen before. 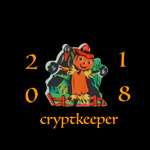 The film combines elements of fantasy, superhero subgenre, and spy movie thrillers in what can best be described as: Game of thrones meets Bond meets Spartacus meets Iron Man. The film’s director: Ryan Coogler who burst onto the scene in the past few years with the epic films: Fruitvale Station and Creed does an incredible job at getting every ounce of effort out of this insanely talented cast. Coogler who also wrote the film with Joe Robert Cole never gets bogged down into the minutia that sometimes accompany inaugural solo superhero outings. 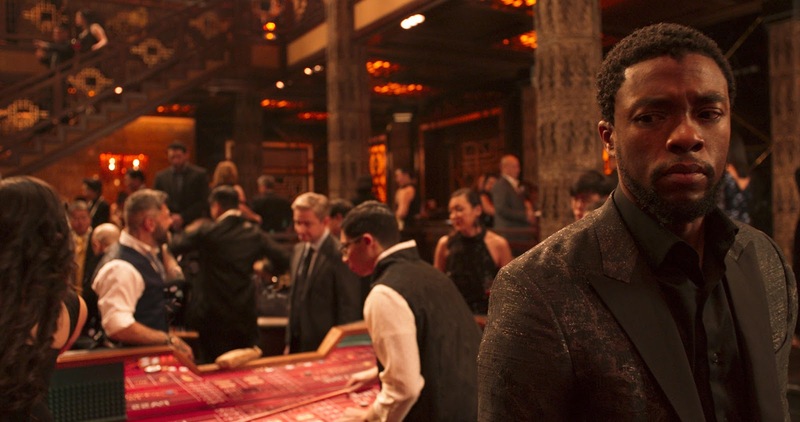 Instead Coogler lunges you into a version of Wakanda that feels established, while introdoucing the Nation’s key elements to you throughout the course of the film. 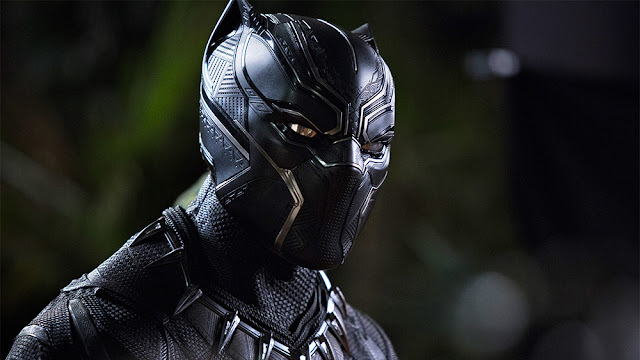 The same can be said about the relationship’s within the film, while all feel established like that of T’Challa and his sister: Shuri (Letitia Wright), they are just further developed as the film progresses; as she serve’s not only as T’Challa’s sister, but the M to his Bond developing badass gadgets, including a new vibranium suit that that would make Tony Stark Jealous. This film also dodges a flaw that has plagued the MCU since it’s inception in 2008: the villain problem. At this point the dullness of MCU villains has been talked about so much that it is almost cliché at this point. In Michael B. Jordan’s portrayal of Killmonger the MCU is given a villain to rival the likes of Loki, Hela, Ego, and Zemo. Jordan outshines the scenery chewing Ulysses Claw played by Andy Serkis, which is no easy feat. 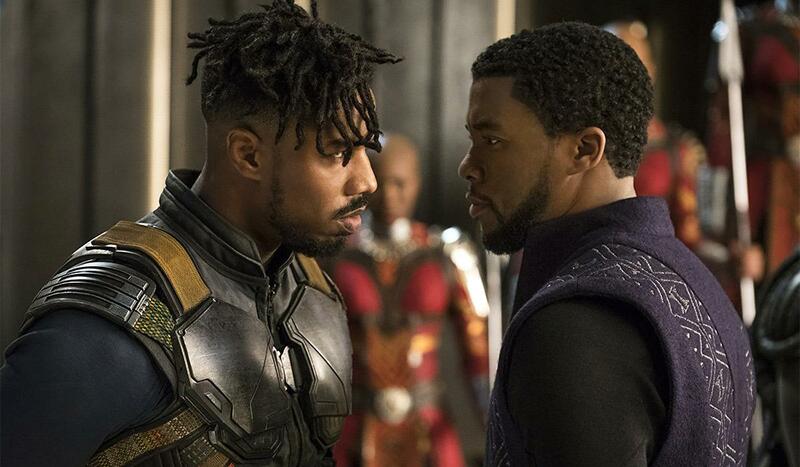 Beyond that Killmonger is given a meaningful backstory that bookends the Coogler’s social commentary cementing its place in Marvel villain backstory lore. 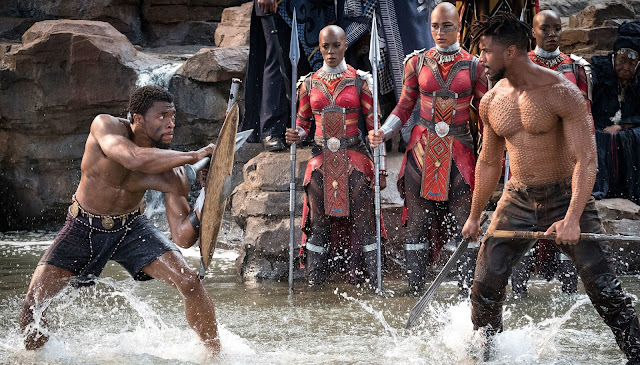 Overall Black Panther best qualifies as a social epic that transcends the typical bonds of the Superhero sub-genre of film. Ryan Coogler’s effort will not only be spoken about in the same breath as the best superhero origin films such as the 1978 Superman or 2008's Iron Man, but will be mentioned alongside the greatest superhero film’s ever made amongst The Dark Knight, and Captain America: Winter Soldier.